Half of pastors afraid to speak on moral issues! A new study shows that half of American pastors worry about preaching on hot button social issues – like abortion and LGBTQ issues – worried they might offend someone. Pastor Corey Brooks, Pastor Michael Youssef, and Pastor Ron Lewis open up about the pressures facing worship leaders around the nation after the Barna Group published the results earlier this year. While Brooks doesn’t personally feel the pressure, he can see where it’s coming from. Yousseff, the founder of Leading the Way Ministry in Atlanta, agrees there is pressure, but notes pastors have a decision to make. The pastor in Georgia believes it’s their job to speak the truth in love without fear because it’s the pastor’s job to speak for God to the congregation. Instead of stoning the woman as the law commanded, Jesus challenged the people, for whoever was without sin to cast the first stone. One by one each of them left until it was just the woman and Jesus. Jesus asked her if anyone condemned her, and he added, neither do I. “I think in that example we have both grace and truth,” Lewis said. “But He also said to her go and sin no more,” Yousseff added. “Yes, He did…and that’s where the truth comes in… and grace and truth work together,” Lewis concluded. First of all, warmly welcome! We will share this Newsletter once a week, which will include important news, or one of the special e-mails that we have received, for your attention. News will appear in this Newsletter every Saturday. Now we hereby ask the readers to share through e-mail, your life experiences and, among other things, examples about how you were touched by the Lord through the messages of God which you have been led to. The submitted e-mails for the Newsletter will be read and evaluated in advance, whether it is suitable for the Newsletter. 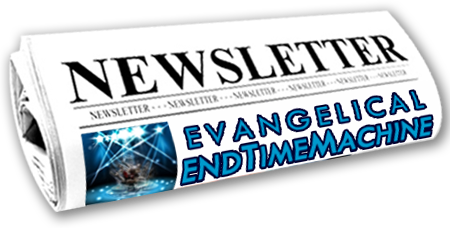 The Evangelical Endtimemachine reserves the right to shorten your message for the Newsletter, and to make the decision to use it or not.